Architect Frank Gehry re-made architecture in Los Angeles and beyond with mind- and form-bending buildings crafted from materials like chain-link fence. Among his many accomplishments, he won the coveted commission to design the Walt Disney Concert House in downtown LA (pictured) and is also the designer of the future National Dwight D. Eisenhower Memorial. Tommy Chong recently said on the cable TV show "Getting Doug with HIgh" that he smoked pot with Gehry. Others have claimed that Gehry was a stoner over the years. Now, a 2015 biography of Gehry by Paul Goldberger, former architecture critic for The New Yorker, confirms that Gehry can be counted amount the many Successful Stoners that populate the arts and other fields. In 1967 Gehry visited Paris with his office manager Babs Altoon, and "high on some marijuana they had brought along, they went to the Eiffel Tower, took the elevator to the top, and ran all the way down the stairs." Later, before fellow architect Philip Johnson came by to see a house in Malibu that Gehry had designed for artist Ron Davis, Gehry and Davis got stoned and were "somewhat giddy" by the time Johnson arrived. In 1975, Gehry and artist Ed Moses embarked on a trip to Israel, Greece and Egypt. "The idea of visiting the countries that could be considered the origins of Western culture had originated when Frank and Moses were smoking marijuana with their friend the sculptor Ken Price," writes Goldberger in his book Building Art: The Life and Work of Frank Gehry. "If you really want to understand it all, you go there. 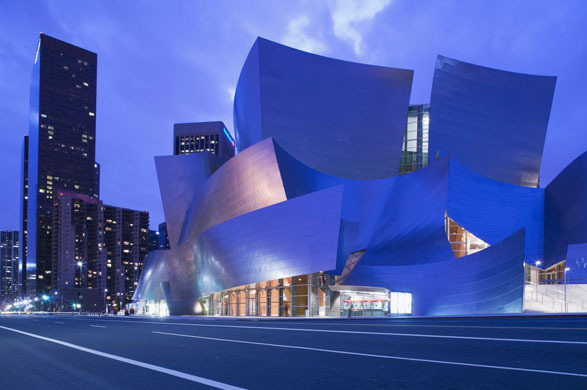 If you want to find Nirvana that's what you gotta do," Gehry remembers Price saying. David Whitney, Johnson's partner, "regularly provided Frank with marijuana, and he invariably brought some to share on the water" in the 1990s when Gehry co-owned a sailboat with colleagues Jim Glymph and Randy Jefferson. According to Goldberger, "Not the least of the pleasures of their sails was that it gave him and Glymph, who smoked a great deal of marijuana, a pleasant place to get stoned." Glymph recalls in the book that he and several others smoked weed in Gehry's hotel suite before the opening of Seattle's Experience Music Project in 2001, but that Frank, "worried that word would get out that he was hosting a pot party, shooed them out." In 2008, Gehry's daughter Leslie used cannabis during her battle with uterine cancer, and she and her brother Alejo "had the happiest time they have ever had together when Leslie invited her brother to share some of the medical marijuana she had been given." The actor Lawrence Fishburne is also quoted in the book saying he worried a bit when he took Frank on motorcycle rides because "sometimes I'd, you know, smoke a bit of marijuana." Gehry's career was championed by Progressive Insurance mogul Peter Lewis, who contributed to marijuana-reform measures including California's Proposition 215, the nation's first medical marijuana law. We need a modern workforce, not a drug-tested one.